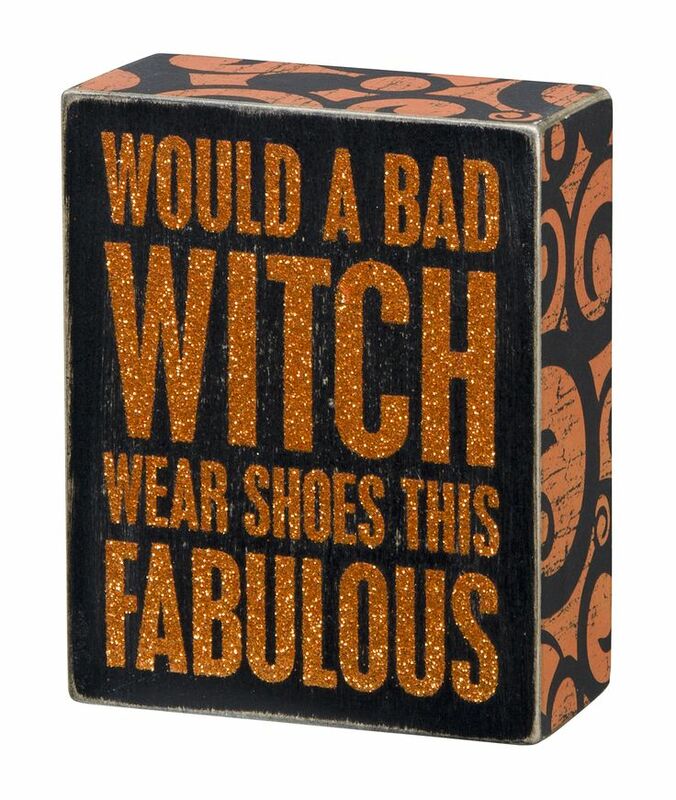 Why have decorative box signs become so popular? I’m not sure. Actually, I don’t know. Little or big box signs can cure, make you laugh, cheer you up, or perhaps cry. Words are powerful. They make a statement, and they can leave a mark or help you to understand. Plus they are functional, fun, and easy to hang, lean, tuck, or stand in various places around your home, in your home, and in protected locations outside your home. Place them alone, in groupings, with other decorations for the appropriate season, or give them as gifts. Yes. True. I was “literally singing” after having wine with friends (see box sign above). Later, my older brother, Sylvain, came by to visit. He gave me this box sign shown below. As a gift (or a message). But alas, they are not just signs for the hanging (or hangovers), they serve a purpose. Use them to store your bottles in a cute and clever way. 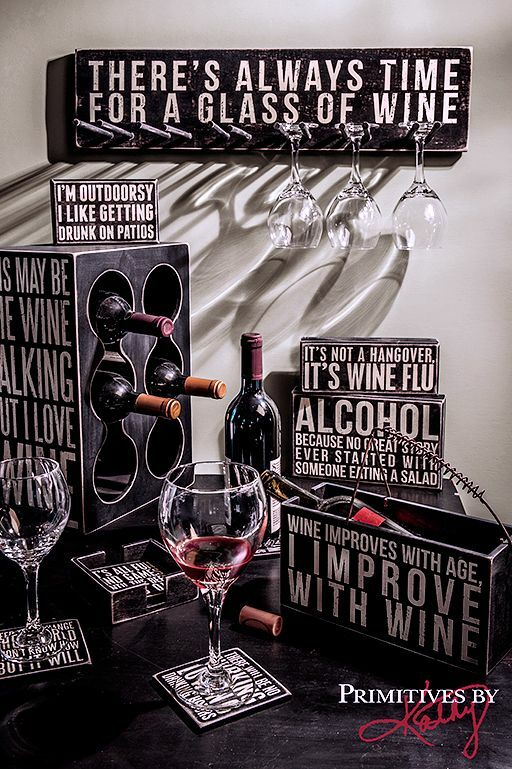 They may even remind you to avoid the Wine Flu. Other ways to use them? Use them to set the mood. Or…Why not use them to create a whole arrangement? Especially nice on the patio or as your buffet/cocktail table for an upcoming party. 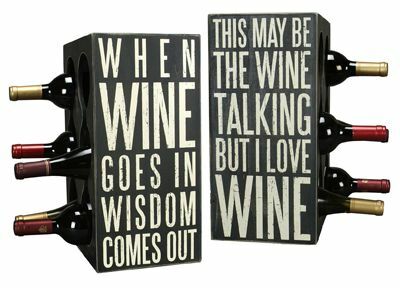 What a great way to welcome your guests with a chuckle and a smile. Want to get some kind of message across at your next function? Reading words can eliminate the need to speak them. 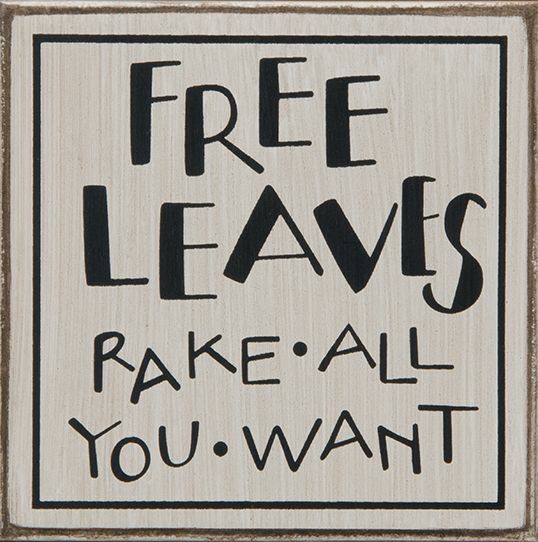 Use them to get free labor, or at least inspire. Sure, maybe a little humor will encourage that teen of yours to get raking. 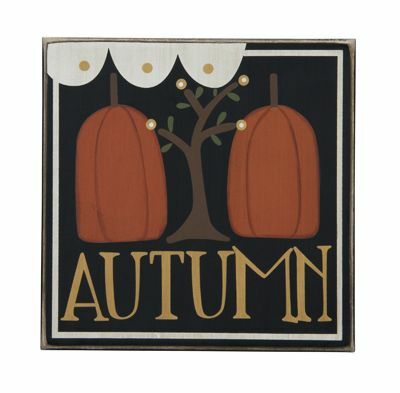 Or the sign will remind us all of the best parts of the Autumn season. 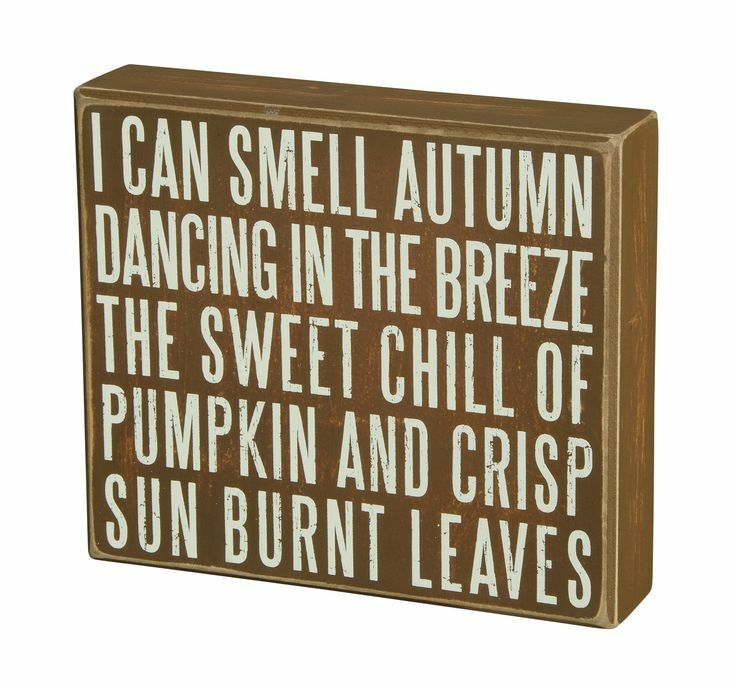 The beautiful blue skies, the crisp air, color changes of the foliage, and smells of pumpkin and apple pie. Use box signs to inspire our transition to the cooler temps as we adjust to the sun rising later and the nightfall coming sooner. A little Witchy Side to Ya? No problemo. Use them to show your glitter/glam style. 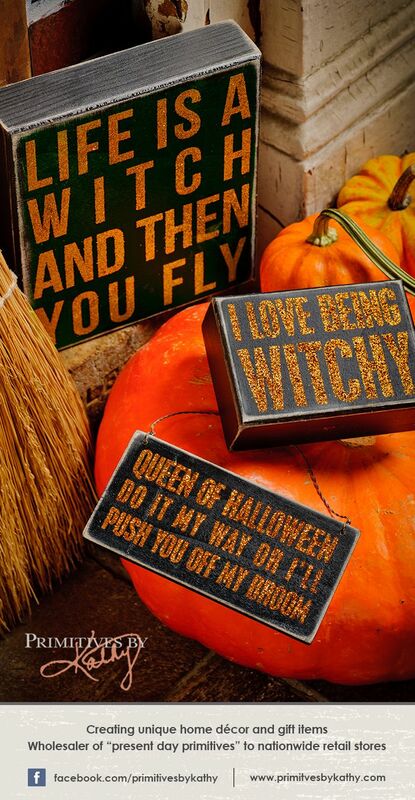 Position it by your broom and witches brew, as you play dress up. Watch “The Witches of Eastwick“. They will get the hint. Use box signs to impress. 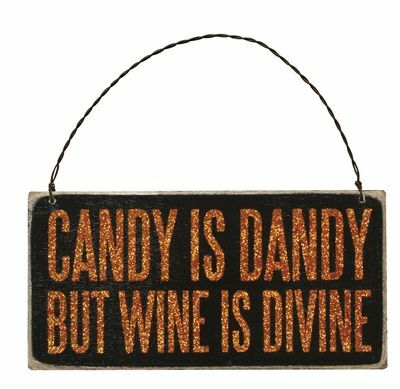 When you pair a box sign with a hostess gift and your best bottle of wine, you will be remembered as being a very good guest. 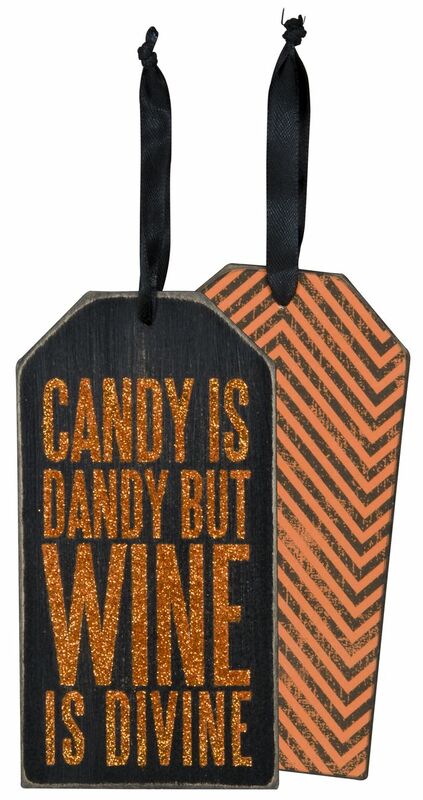 Add a little hang tag to match your box sign, or hang it on a door knob to make the Halloween kids go away. No hints required, just read the box signs. Get into the Box Sign Movement. And don’t forget all the other wonderful themes – for the garden, beach house, and Christmas Holidays.